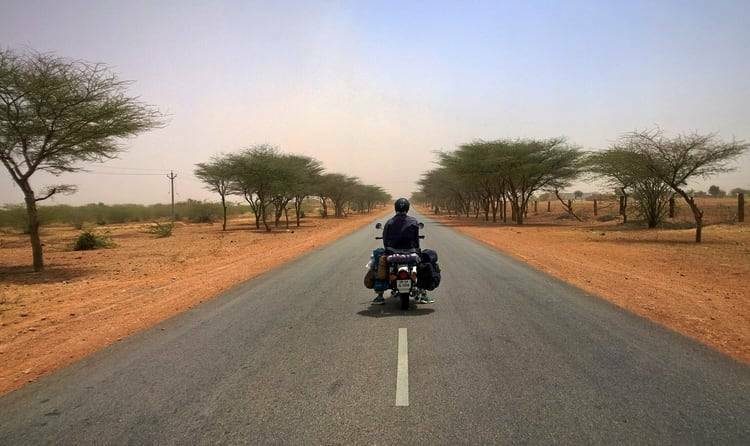 10 Amazing National Highways In India You Should Cover For The Next Road Trips On Your Bike! 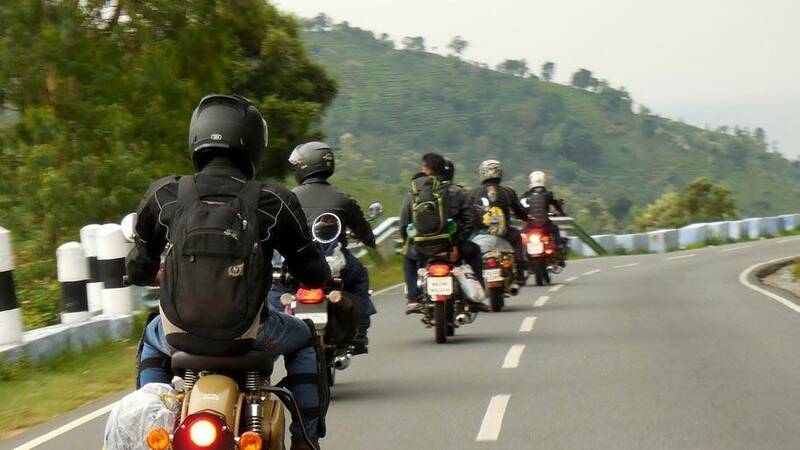 India is no less adventurous when it comes to exploring new routes and planning new journeys and it's every Biker's dream to explore the unexplored. 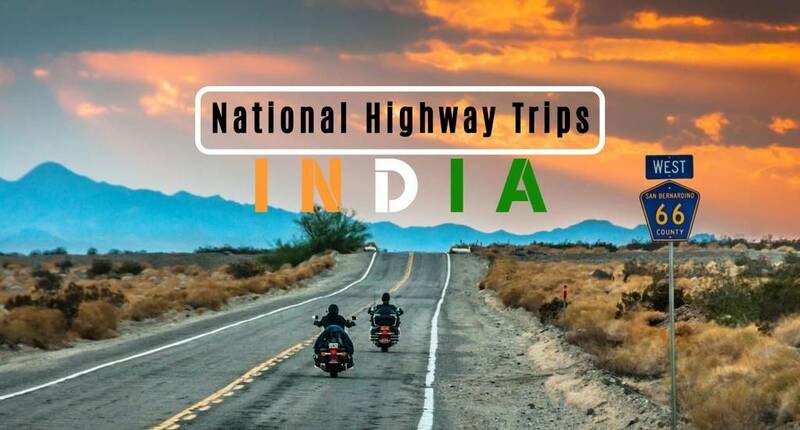 These amazing National Highways of India take you a step ahead while traveling on your Bike's. Is ready, set go, your mantra? 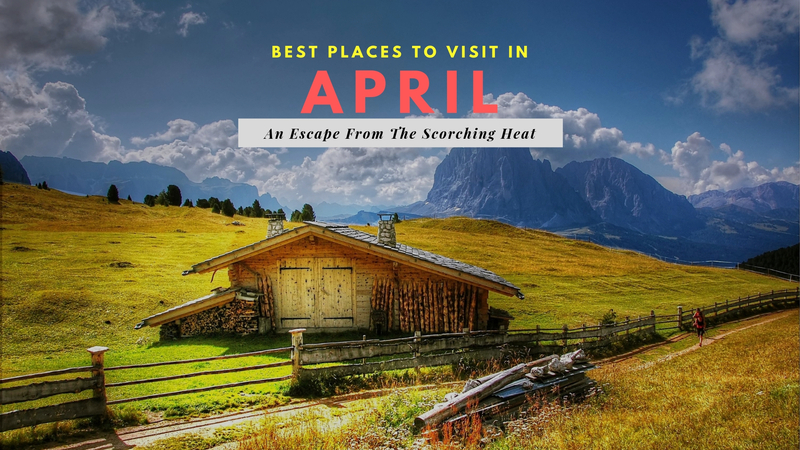 Then get your gears right on your bikes and plan your next journey on these new additions to your bucket list. 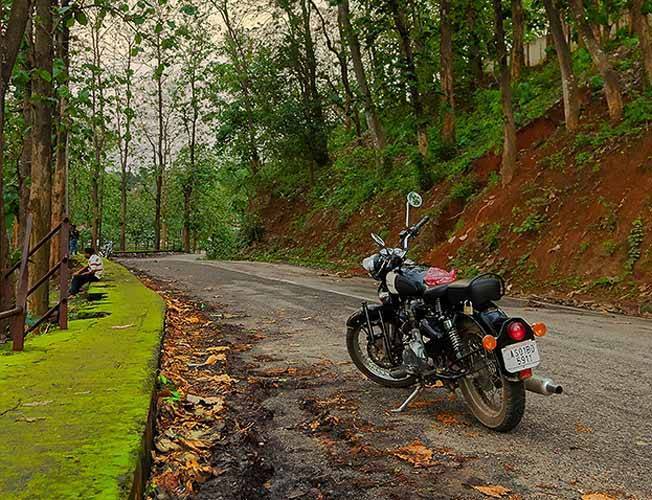 Explore the 10 most Amazing National Highways of India you need to cover for the next road trips on your Bike. This one's a no-brainer and had to be on the list. All of us here are well versed with the journey of Farhan and Raju to find Rancho in 3 idiots on this beauty and it definitely did do the trick! 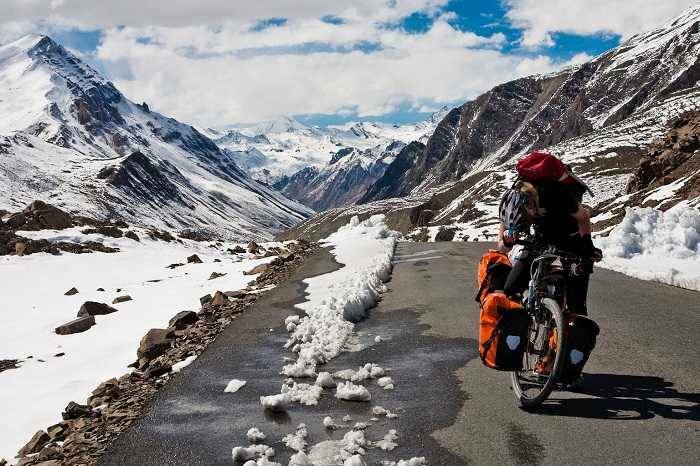 This is one journey that exposes you to all the elements and the exhaustion and the views on a Bike across Manali to reach Leh or Ladakh is an epic experience. 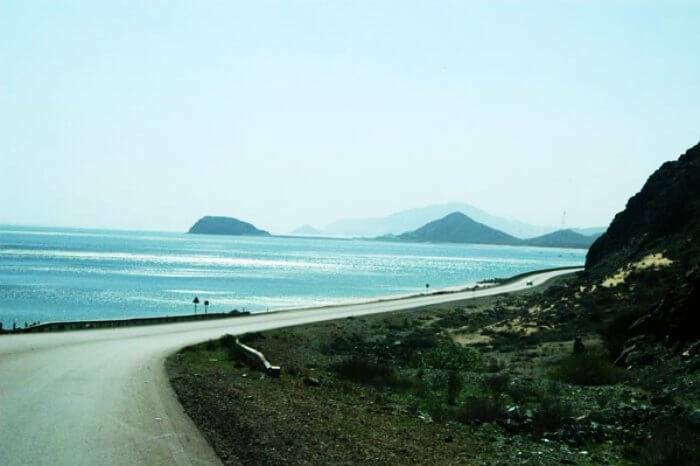 The road situation has improved with the Highway being highly commercialized as a tourist gateway. As the journey moves forward, accommodation facilities lessen and temperatures at night drop close to zero even at the height of summer and strong winds can blow at any time of the day. It is a journey full of never-ending beauty. Pro Tip: There are no petrol pumps from Tandi to Leh. It’s well-marked and you have to tank up and carry some reserve for the ride. Heading from Mysore to Ooty is quite common, but not many exit Mysore via the Chamunda hills for Ooty via Masinagudi. The incredible ride through Bandipur and Mudumalai is absolutely breathtaking with mobs of deer grazing not too far from the road, monkeys creating the usual chaos and if you are lucky, a few elephants ambling in the forest. The really lucky ones spot leopards hanging off tree branches. You need to watch your speed through the forest boundaries, but once you are on the other side, turn left towards Ooty. 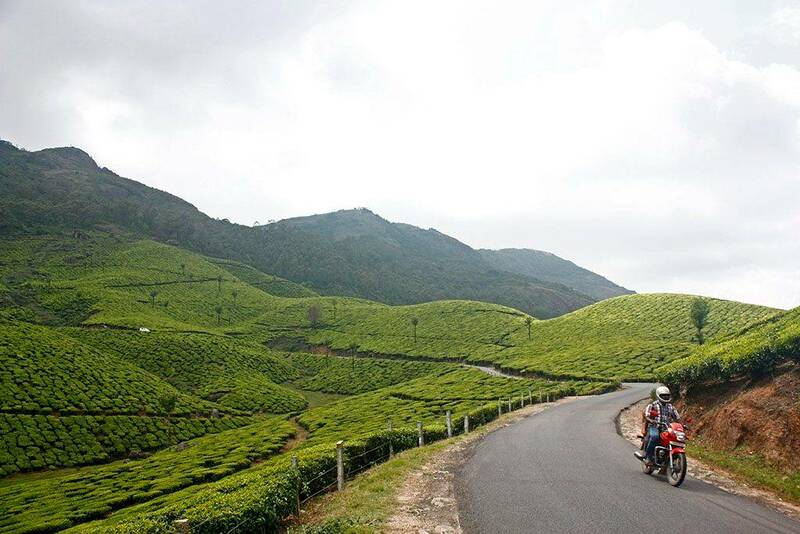 The road is narrow and gives you a spectacular view of the Nilgiris. 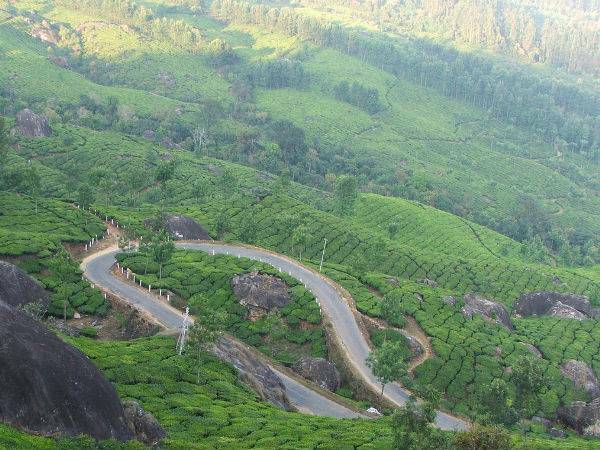 Once you are past Ooty, turn left toward Kotagiri instead of heading straight towards Coonoor. It’s slightly longer, but traffic is lighter and you can enjoy the ride down to Mettupalayam. 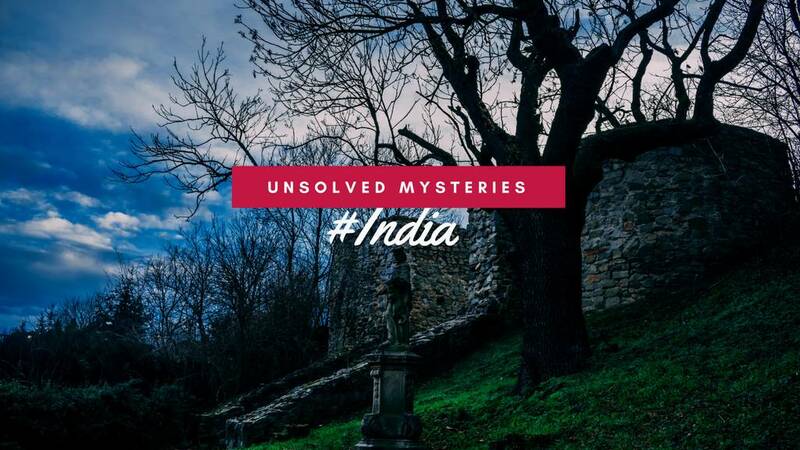 You have to cross the congested town of Coimbatore or take a rather long detour to get to Pollachi and carry on towards the lesser known tea estates of Valparai. 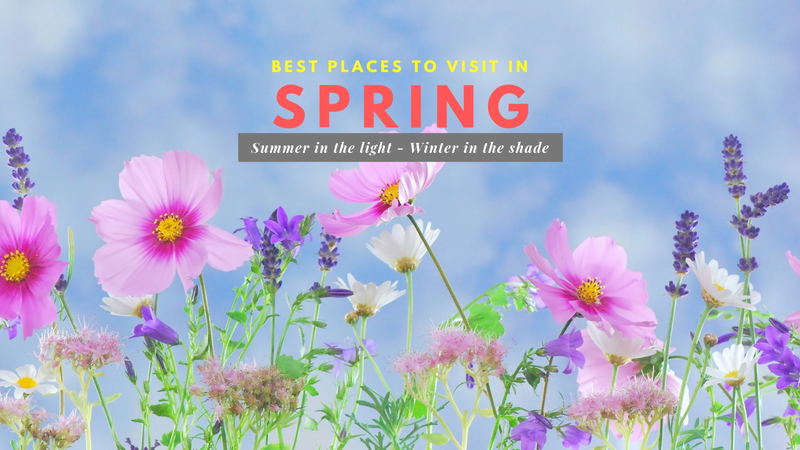 Pro Tip: There are some beautiful homestays around these hill stations. Check in at Jungle Hut, Bokkapuram, Masinagudi. 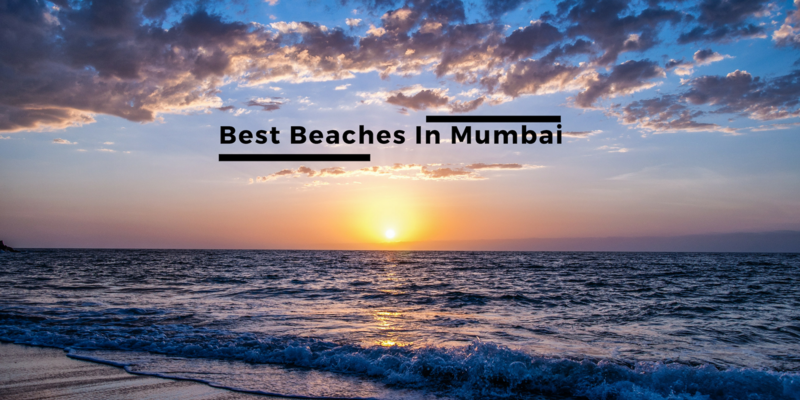 You have seen your favorite actors in movies such as 'Dil Chahta Hai' take a road trip from Mumbai to Goa in a car, dare to take this trip on your bike. 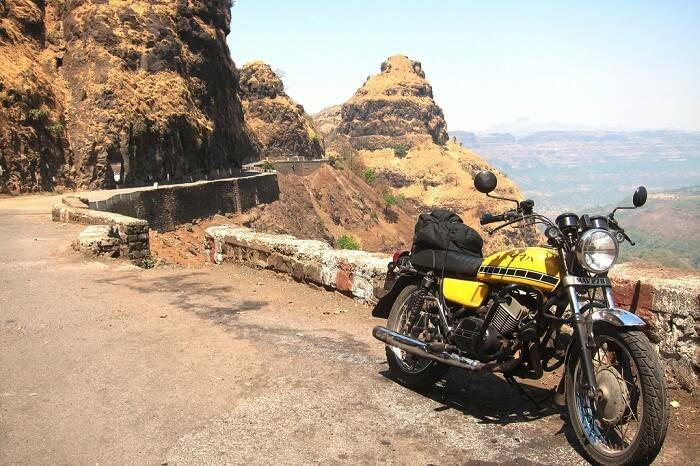 Connected via the National Highway 66, the bike ride from Mumbai to Goa will give you the flavor of both the Western Ghats as well as the enrapturing view of the beaches. 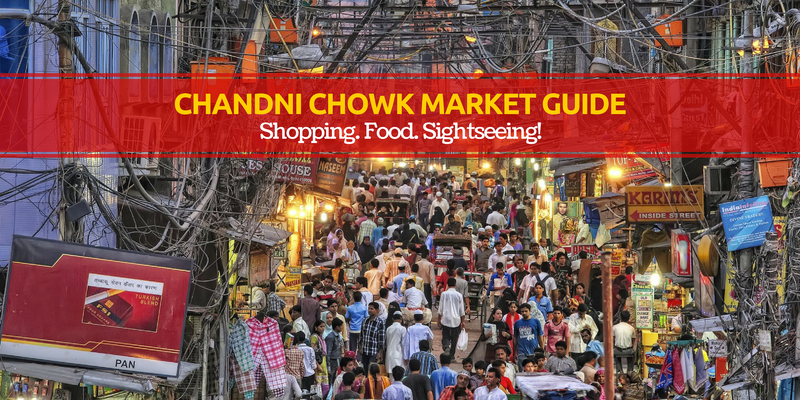 It’s possibly the most popular route for holidaymakers, and a guaranteed hit with Goa as the destination. This route could easily be called 'The Father Of The Indian Road Trips'. Leave Mumbai early in the morning and reach Goa before the parties begin! There are several food joints along the drive to keep your heart and stomach full. 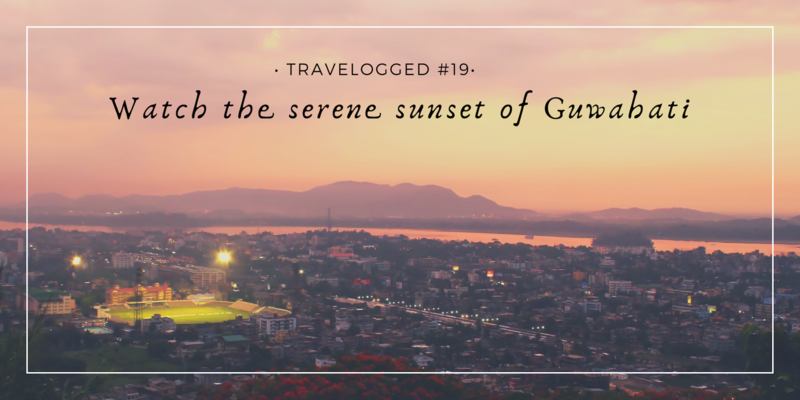 Pro Tip: Make a pit stop at Guhaghar and Tarkarli. Great Malvani food and a gentle sea breeze are always close at hand. Get off the popular routes and explore some of the back roads through the state, and you will find an incredible wealth of biking routes which will take you through the heart of the desert with roads that are just wide enough for a couple of bikes to ride alongside. It becomes even more interesting thanks to the ever-shifting sand dunes, which often blow across the tarmac in their endeavor to keep moving. While most of these leave a thin trail of sand, there are some which can be deceptively deep. There are a few camps that you can choose to stay over at along the way in the desert and there are some old havelis as well. In a nutshell, riding through Rajasthan offers a little bit of everything if you are willing to explore, and most of all, you cannot imagine a better sunset than one that drowns in the dunes. Pro Tip: Apart from Bikaner, there aren’t any big towns along the way until you arrive at Jaisalmer. You will need to carry essentials and research your overnight halts well. Or you could carry a tent. Himachal is considered as the king when it comes to providing the best mountain experiences. Offering the calmest yet adventurous locations to ride through, the bike trip from the enthralling Shimla to the serene Spiti Valley, with places such as Kalpa and Kaza lying on your way, will provide you with one of the most thrilling and enchanting biking experiences. 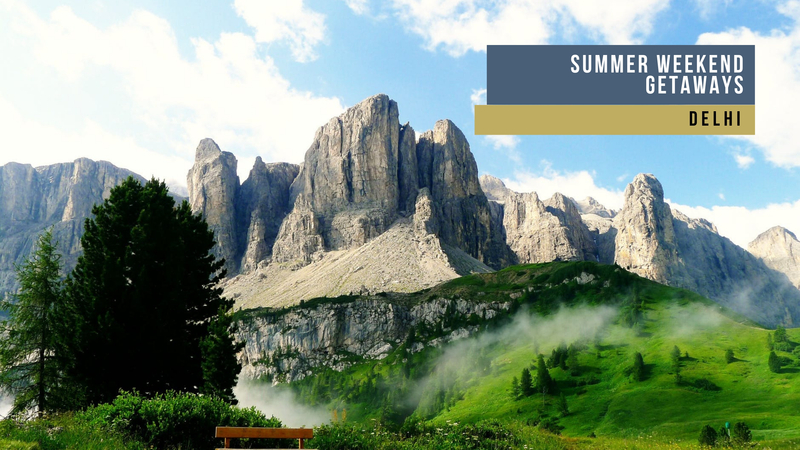 You pass through roads that keep on varying their width and are accompanied by snow clad mountains, followed by an ultimate sight on reaching the valley. You'll cross water bodies, mountains, plains and what not. This is one challenging one! Pro Tip: Kaza is the headquarters of Spiti valley. The road will mostly remain bad all the way till Chitkul. At several stretches, there will not be a road at all and you will end up driving on dirt trails. Fair warning; this one bike ride is not easy due to the slippery and wet surface which you will encounter on your way as the North-East part of the country experiences rainy season almost throughout the year but that will not be much of an obstacle in the daytime as at night. 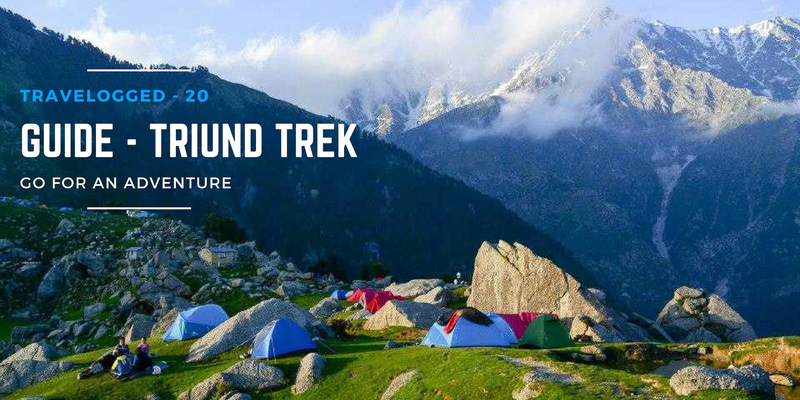 But apart from the obstacles which lie on your way, this route will also give you the opportunity of marveling at the splendor of Mother nature itself, through the soul-capturing waterfalls and beautiful hills which you will get to see a lot during your journey. The mountains are covered with lush green trees on both the sides and the air always has that favorite fragrance of 'feel mitti' after rain. Does it get any better? The bike ride from Delhi to Ranthambore is set to give you the glimpse and aura of both the worlds- small cities exhibiting the routine life of people and endless patches of ground with no soul to be seen in the nearby range. 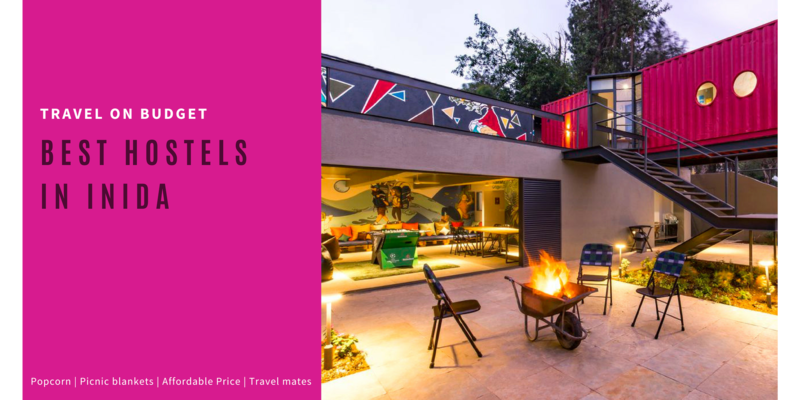 You can even plan a small stay at Agra which will lie on your way to Ranthambore, giving yourself the chance to be spellbound by one of the seven wonders of the world- The Taj Mahal. The Yamuna Expressway is probably the best road in the country at present and an absolute must-do for all road trip enthusiasts in the country. Pro Tip: Yamuna Expressway has no dhabas at the side, so if you want to stop and eat on the drive, you might prefer the old highway (via Palwal), although the driving wouldn’t be as much fun or fast. The road to Yuksom is infamous among a lot of travelers for being under-maintained and uneven. Broken roads and uneven terrains are difficult for bikers to negotiate. Crossing some of the waterfalls on the way could be challenging. Riding via Kalimpong and the hills around Darjeeling will take you through some of the most picturesque spots in the eastern part of the country. The lush landscape adds unparalleled beauty to the place. And not to forget, there are breathtaking views of the great Himalayan peaks, including the likes of Kanchenjunga and Makalu, among others. Pro Tip: After an early morning cuppa, set off for the 20th Mile Loop, locally known as Smritiban. Another trail takes you to the boundaries of Mahananda Wildlife Sanctuary. Several trekking routes lead out from the estate to the nearby villages. The estate management can arrange for a guide to take you across the hill trails. Within the estate, boundary lies Mother Teresa’s Santa Bhawan orphanage. Engulfed by the picturesque Western Ghats, Munnar is famous for its eternal beauty and tea plantations and it is one of the most amazing places in Kerala. 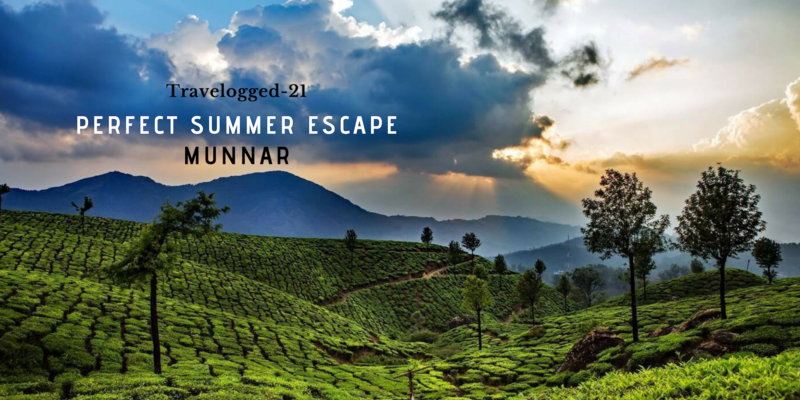 This road trip from the city of Chennai to the evergreen Munnar is all about rejoicing a weekend! 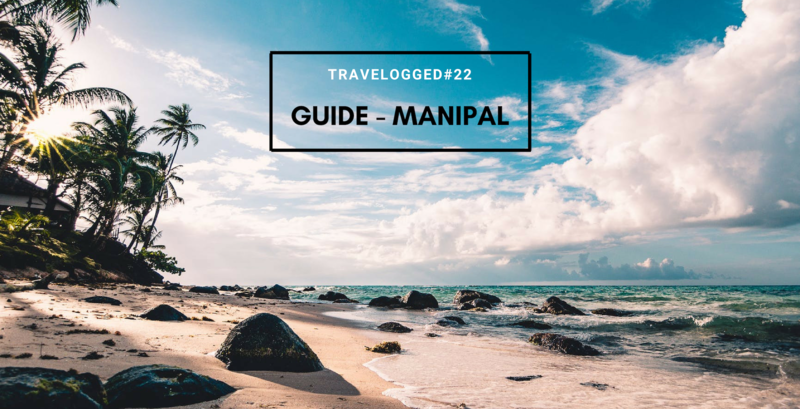 The city of Chennai is the starting point which takes you through many places in Tamil Nadu and finally to reach the beautiful Munnar. Pro Tip: Further, the route after Udumalai is ghat section with many hairpin bends. Be careful while driving in this stretch. The drive between Kolkata and Puri is full of surprises. 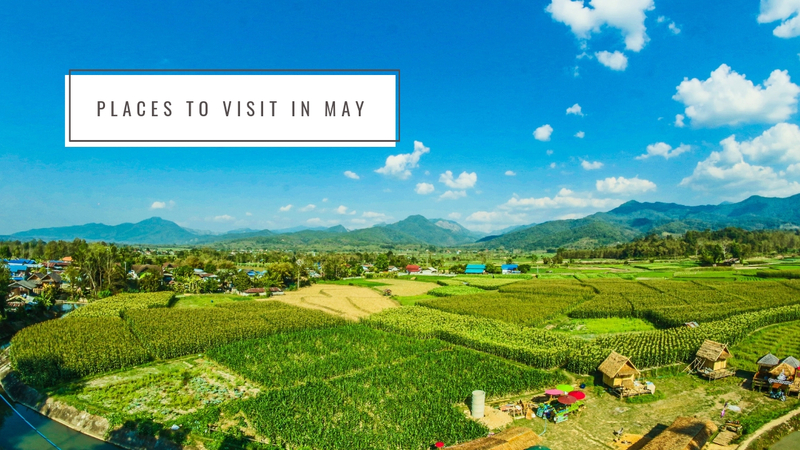 The green drive and the pretty roads will leave you awed, while the idyllic beauty of both the journey and the destination will calm your soul. The small town of Puri forces you to head to the iconic Sun Temple of Konark and everything in between. The sight of the Indian Ocean is a constant and breathtaking. 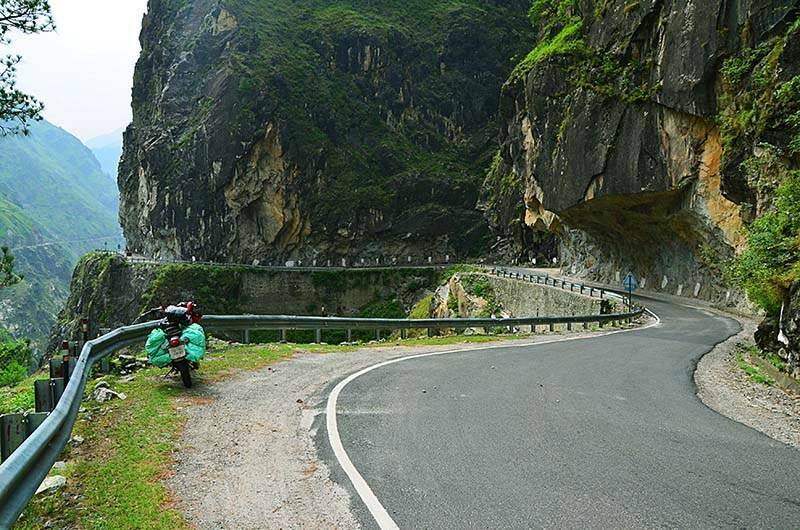 This National Highway definitely makes itself to the list for the best road trips in India on your bike. Hit the road before dawn from Kolkata and you’ll reach in time for Puri’s lovely beach-side sunset and succulent crab fries from local vendors! Pro Tip: The best way is to go to Kharagpur and march along to Balasore from there, followed by Pipli, Cuttack, and Bhadrak. Nothing beats the thrill of exploring on road. So, pack your bags and chose one destination to conquer the next time you plan a trip! Q. What to pack on a bike road trip? 1. Check your bike - Make sure everything on your bike is in 100% working order. 2. Tire plug kit - With a CO2 tire-inflation system or a small pump. 3. GPS - Bring a portable GPS system or map. 5. Earplugs - Can minimize wind noise and protect your ears. 13. Bungee cords - To secure luggage and loose items.